Have you ever noticed how children have the most perfect blonde hair, with shiny, natural highlights placed just so? I used to have that hair…and then I went through adolescence. It got darker and darker and darker until I started highlighting it in my late teens. And that's where my troubles began. My hair is very fine, and I don't have a lot of it, and when you lighten hair of any kind, it weakens it. Add blow-drying and the occasional curling iron to the mix, and you start to get frizz, breakage, and even thinning. In the name of restoring its health, my old colorist in New York convinced me to go back to my "natural" color, and the entire year I spent as brunette, I thought I was depressed because I was turning 30, but as soon as I went back to blonde, the cloud lifted. I'd rather have damaged hair than depression, but I'd also prefer not to be bald. My current stylist in San Francisco has come up with a method that's as gentle as possible, but I decided I needed to do my part, so I've tried every type of color-treated mask, conditioner, and deep treatment out there. And lo and behold, the last time I got my hair colored, my stylist said, "Your hair feels amazing!" I bought the Christophe Robin Regenerating Mask with Rare Prickly Pear Seed Oil on a whim at Space NK (okay, actually I'd had a glass of champagne at their anniversary party and lost all self-control) after a ringing endorsement from a salesperson with incredibly healthy-looking baylage-d hair. What really sold me on this mask is that you only need to leave it on for 3 minutes, because I don't know about you, but I don't have time to hang out in my shower for 30 minutes with a mask on my wet head. Even better, it manages to moisturize my fine hair without weighing it down, and appears to be repairing it over time. My hair is frizzing less, breaking rarely, and in less need of frequent trims, so maybe I can finally—finally—grow it out. 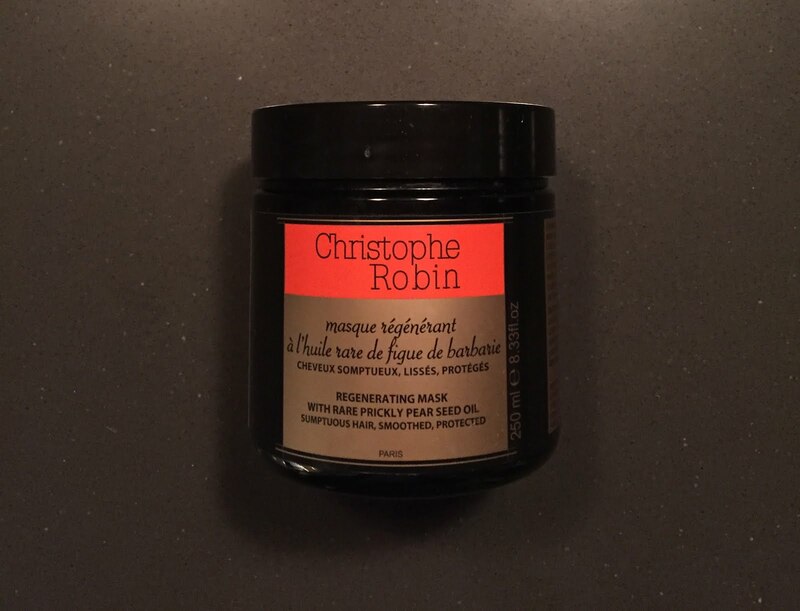 One thing: it's $71, which is a little nuts, however after using the mask twice a week for three months, I've barely used a quarter of the jar. A little goes a long way, and to me, it's worth every cent! That's awesome that you only have to leave it in for 3 minutes! And if it works it's definitely worth the price tag! This sounds amazing!! I love using hair masks - they really are a hair saver! !